Given a choice between 8 flat road miles in Newport, 10 round Staverton Airport and 32 along the banks of the Trent Canal & River Trent in Nottinghamshire, what would most sensible runners do? Whereas about 40 chose the first two options, three Forest of Dean AC runners, Gemma Hewitt, Helen Lipscomb & Chris Moore set off north to take part in the Waterways 30. They joined a field of 162, including a few canis, to run the 32 miles. Pre-race advice included a recommendation that the towpath was the best surface to run on, with the riverbank being harder work because of the long grass. However, overnight, the temperature increased and it rained, changing the canal towpath from frozen to sticky and slippery. In contrast, the riverbank was much more runable. The route was very flat, which didn’t really suit runners used to the undulations of the Forest, but the aid / feed stations provided welcome targets to break up the distance. The weather was kind, cool & dry with a light breeze. It could have been much worse. The winner was Steven Lord in 3:49:54, and first female was Sarah Richards in 4:44:36. 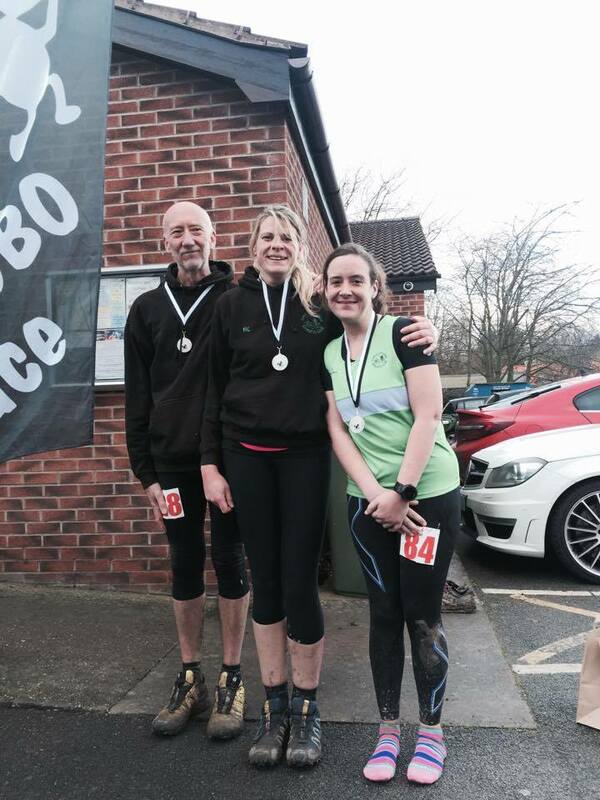 First FODAC was Helen Lipscomb, 49th and 4th female in 5:47:33, followed by Chris Moore, 1 place and 2s later. Gemma Hewitt wasn’t far behind, finishing 66th and 12th female in 5:56:28. All of the finishers completed the race within the 10.5 hour cut-off.